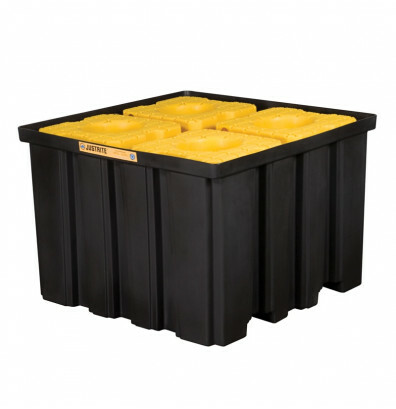 Justrite Ecopolyblend 28674 indoor IBC intermediate bulk crate with forklift pockets pallet is constructed with durable 40% recycled polyethylene plastic for added chemical resistance. Large leakproof sump exceeds regulations and protects against high volume spills. Removable pillars make for easy sump clean-up. Forklift pockets allow for relocation when empty. Ships fully assembled. Accepts IBCs up to 48" W x 48" D x 53" H. Spill capacity of 372 gallons. Load capacity of 9,000 lbs. This Justrite indoor IBC spill pallet is compliant with EPA SPCC (Spill Prevention, Control, and Countermeasure), NFPA (National Fire Protection Association), and OSHA (Occupational Safety and Health Administration) regulations. Spill containment for intermediate bulk crates. 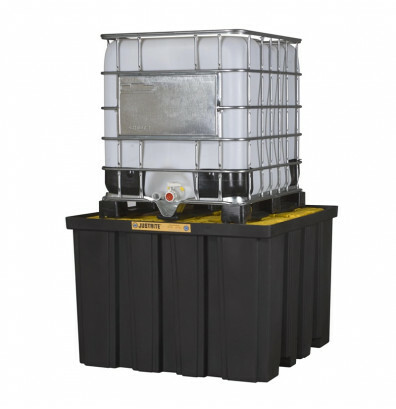 Accepts IBCs up to 48" W x 48" D x 53" H.
Large leakproof sump for high volume spills. Pockets allow for convenient forklift transport. 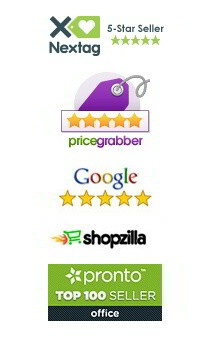 Complies with EPA SPCC, NFPA, and OSHA regulations. Removable pillars make for easy sump clean-up.